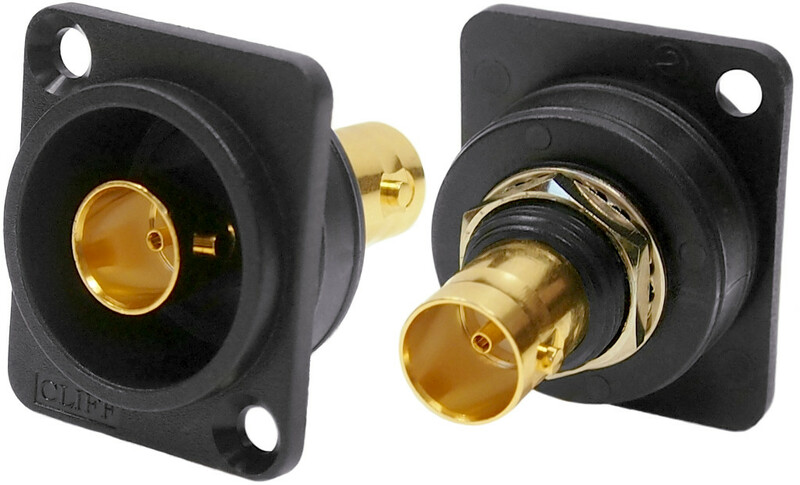 Cliff™ Electronics announces the introduction of a gold-plated 75Ω BNC connector offering 12GHz bandwidth suitable for 4K video and other high frequency signals. The new BNC to BNC feedthrough connector is mounted in a recessed socket plate which fits the industry-standard, 24mm, XLR-panel, cut-out. 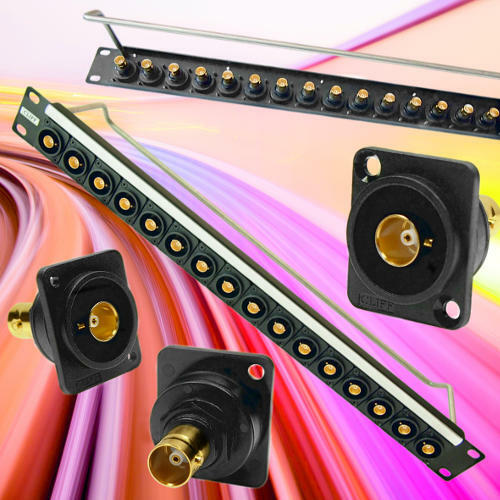 The Cliff™ FT series of true, feedthrough, data connectors for audio, video, electrical and electronic instrumentation are perfect when developing custom I/O configurations for wall plates, enclosures, rack panels etc. All fit within a standard XLR panel cut-out and use standard cabling for front and back connections with no soldering or screw terminal connections required. Feedthrough connectors have countersunk or threaded M3 mounting holes and may be assembled from the front or back of a panel. A low rear profile accommodates the tightest behind-the-panel spaces. Operating temperature: -35°C to +70°C. High reliability, low contact resistance connector for sensors, instrumentation, test and measurement. John Hall, Managing Director of Cliff™ Electronics, comments, “Our gold-plated BNC connector offers our customers a 4K-video-standard connector for future-proofing broadcast systems and patch panels. It offers industrial users a high reliability, low contact resistance connector for sensors, instrumentation, test and measurement. We can also supply our new gold BNC connectors pre-assembled into rack panels offering systems integrators fast and convenient system assembly.”. Cliff™’s XLR-format connectors take advantage of the standard 24mm panel cut-out widely used in audio and broadcast systems. This is increasingly popular in instrumentation, medical and industrial applications due to the format’s flexibility, security and reliability. Blank socket plates are also now available for customers to create custom connector solutions. Available versions include RJ45, HDMI, BNC and USB3.0 compliant single and dual versions. Analogue, digital and optical feedthrough connectivity is available in formats including Firewire, HDMI A-to-A, 50 and 75 ohm BNC versions, USB2 A-to-B and B-to-A changer sockets, high speed USB type-C and USB3 to USB3 in various configurations. Also available are popular data and ethernet connectors including LC and SC fibre,fiber, (Duplex and Simplex), UTP and FTP RJ45s in both Cat6 and Cat5e, (shielded and unshielded), TOSLINK and RCA phono.phono/cinch. Extensive expertise in mouldingmolding and metalwork. 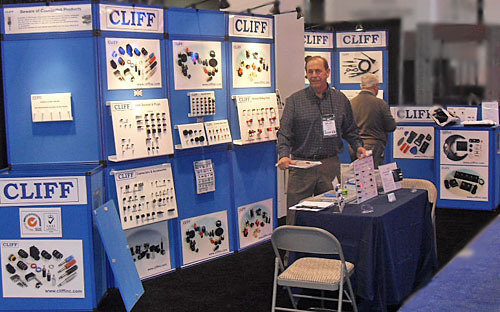 Cliff™ has extensive expertise in moulding molding and metalwork. It can provide a design, engineering and manufacturing service for the production of customised customized components and assemblies. Plastics expertise includes injection-moulding,injection-molding, blow-moulding,blow-molding, extrusion, sonic-welding and printing. Metalwork includes stamping, machining, aluminiumaluminum extrusion, finishing and printing. Cliff™ has the facility to enable assembly, inspection and testing. Cliff™’s UK and Far Eastern production plants are certified to ISO 9001 and employ design, engineering, technical, marketing and sales personnel. Quality has always been of prime importance and the majority of Cliff™ products are covered by approvals from organisations organizations such as UL and VDE.